A study has recently suggested that doctors and nurses may not be able to reliably tell whether babies being treated in hospital are in pain merely by observing how they behave. In stressed newborn babies, behaviour alone is not a reliable way of assessing pain, according to new UCL and UCLH research. According to University College London researchers, the hospitalised newborns, who are already stressed by their environment have a much larger pain response in their brain following a routine clinical skin lance than non-stressed babies. This disconnect between the behaviour of newborn babies under stress and their brain activity in response to pain has not been shown before and suggests that stress is an important factor in influencing how babies perceive and react to pain. Lead author Dr Laura Jones said, "We know that repeated painful and stressful experiences in early life can negatively impact on the development of the central nervous system and our results suggest that controlling the stress levels of hospitalised infants may not only reduce their pain but also contribute to their healthy development." The team simultaneously measured the behaviour and brain activity of 56 newborn babies before and after a clinically necessary heel prick in their first days of life, while also monitoring their stress. In the babies with the lowest stress levels, brain activity and behaviour were associated with each other in that greater brain activity corresponded to a longer period of crying and/or grimacing. In the babies with the highest stress levels this association was broken: greater brain activity was not necessarily matched by a more marked behavioural response. "Behaviour such as crying or facial responses is widely used as a measurement of a baby's pain experience. Pain scores used for babies are based on these observations, because babies can't speak. While these methods are very useful, our findings suggest that they may not be appropriate for babies who are already stressed. We need to explore better ways to monitor pain, reduce stress and tailor our interventions accordingly," added co-author, Dr Judith Meek (University College London Hospitals NHS Foundation Trust). 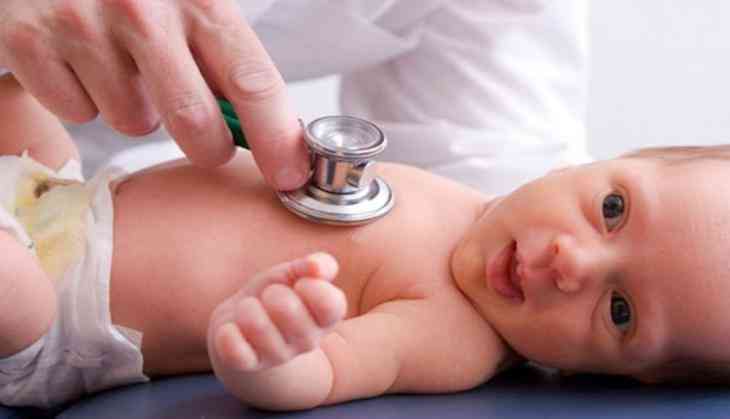 The researchers measured the background level of stress in the babies using two approaches - heart rate variability and the level of cortisol in saliva. Each baby had a different level of stress due to natural variability in the population and their environments prior to the test. The results show that the amplitude of the pain evoked brain waves was greater in babies with high stress compared to those with low stress. The research appears in journal of Current Biology.